This listing is for a 6" x 6" winter wedding cake topper / tree cake topper in gold tone tarnish resistant wire with clear swarovski crystal elements. 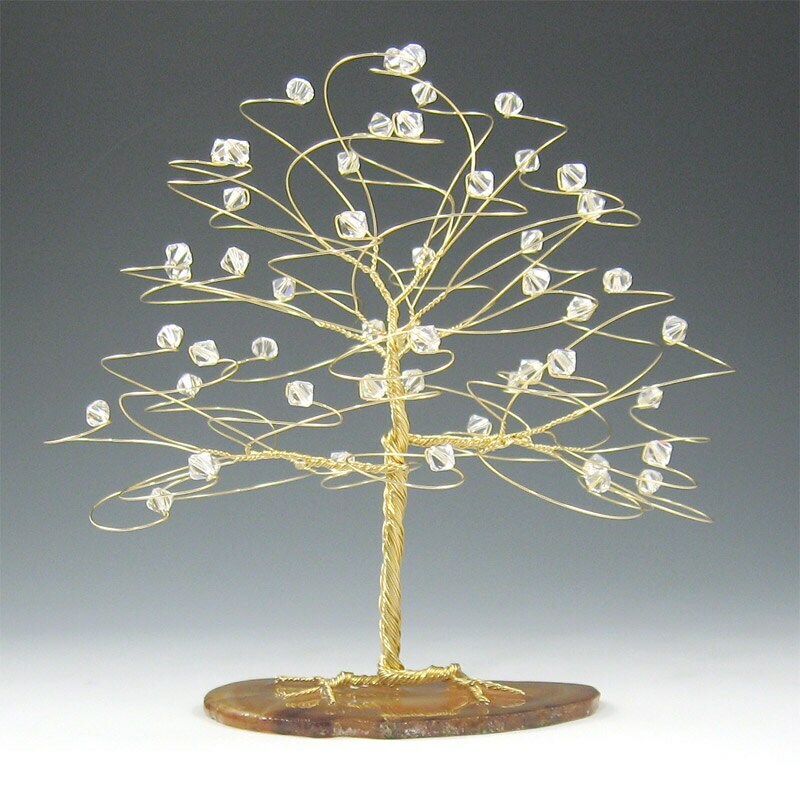 Wire tree cake topper measures approx 6" tall x 6" wide with all 50 branches ending in genuine swarovski crystal. Tree base is brazilian agate. This will fit a 6" or larger cake top. Weight is about 4 oz. Amazing product and customer service. Thanks so much. I can't wait to see this on my wedding cake in a few months time.